Finally I have time to review my photos and relive the nice vacation I had last month in Hong Kong! It’s also quite interesting as I revisited my 2009 vacation post. and compared what I did then and now. Armed with the Samsung NX100 with 20-50mm and 50-200mm, I certainly captured more because the camera performs formidably fast. Arrived at the T1 airport at 4.40am, and checked-in at the Jetstar counter with no queue! Our flight was 6.40am. All the duty-free shops are not open, so we had our breakfast at Coffee Bean and Tea Leaf. Arrived at Hong Kong at about 11am. This was our first vacation where we practically booked everything by ourselves. So we spent some time planning our itinerary. First, we asked how to get to Tung Chung from the airport. Then I went to the 1010 retail outlet at the departure hall to buy the CSL prepaid SIM card for data service (the sales staff was very nice to help me configure the APN). Next we had lunch at Maxim’s inside the airport. 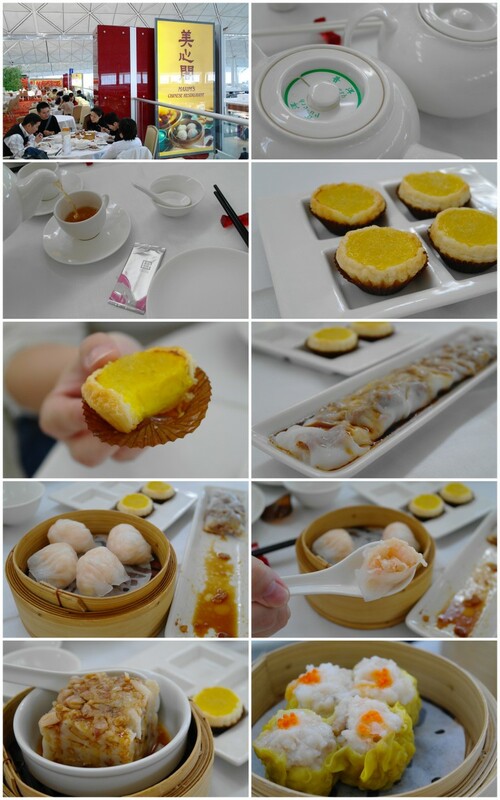 Last year we went all the way to the Maxim’s Palace at City Hall, but we don’t really fancy the dimsum that much. Still, we decided to relive the food and since there was an outlet in the airport, we just went for it. After lunch, we made our way to the luggage locker service counter to dump our luggages, then headed to the bus stop where the bus service brought us directly to Tung Chung. Last year we did not go to Ngong Ping, so this year I wanted to go there. The queue for the cable car was rather long, but we were rewarded with a 20-min cable car ride which was scenic and calming. Wifey was afraid of heights, so she kept rather still throughout the ride, while I was frantically capturing photos around the area. I was rather unimpressed with the destination, which is too touristy. 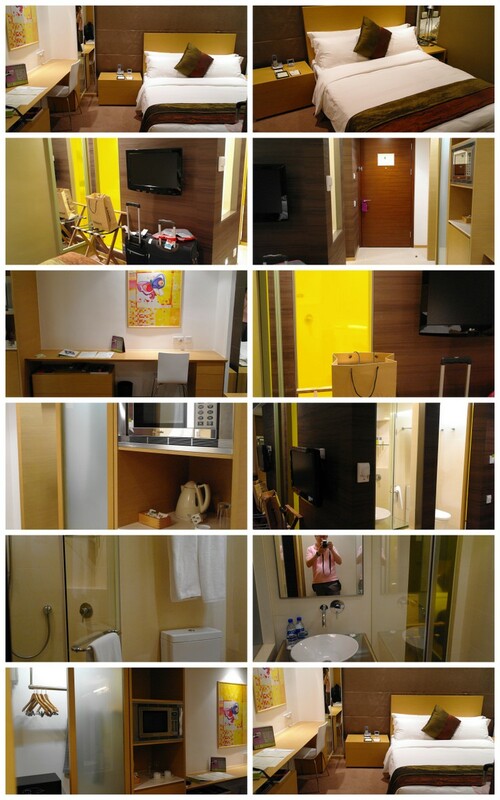 After we left the Big Buddha, we did some shopping at the Tung Chung Harbour City, till early evening, then took a bus back to the airport, retrieved our luggage, hopped on the Airport Express Train to Kowloon station, caught the free shuttle bus to our hotel, Butterfly On Prat. We were surprised to find that the bathroom offers a see-through view of the bath user. The reception told us that curtains could be arranged to protect the modesty, but we were fine with it. The hotel offers free Internet at the lobby as well as in the room. But I only brought my iPad which doesn’t allow direct connectivity to the ethernet port, so I had to use my Nokia E72 via Joikuspot to establish a Wifi hotspot. The CSL data network is very reliable and I had no problems accessing data services throughout my Hong Kong stay at all locations. After settling down, we made our rounds and got our usual supper fix. After a local-style breakfast, we took the MTR all the way to Luo Hu station where we crossed the border to Shenzhen. (For last year’s trip, we also chose the 2nd day to go out of Hong Kong) After a brief immigration clearance, we got into the Shenzhen MRT and headed to Old Street station. There is a huge shopping area spanning across a few streets. 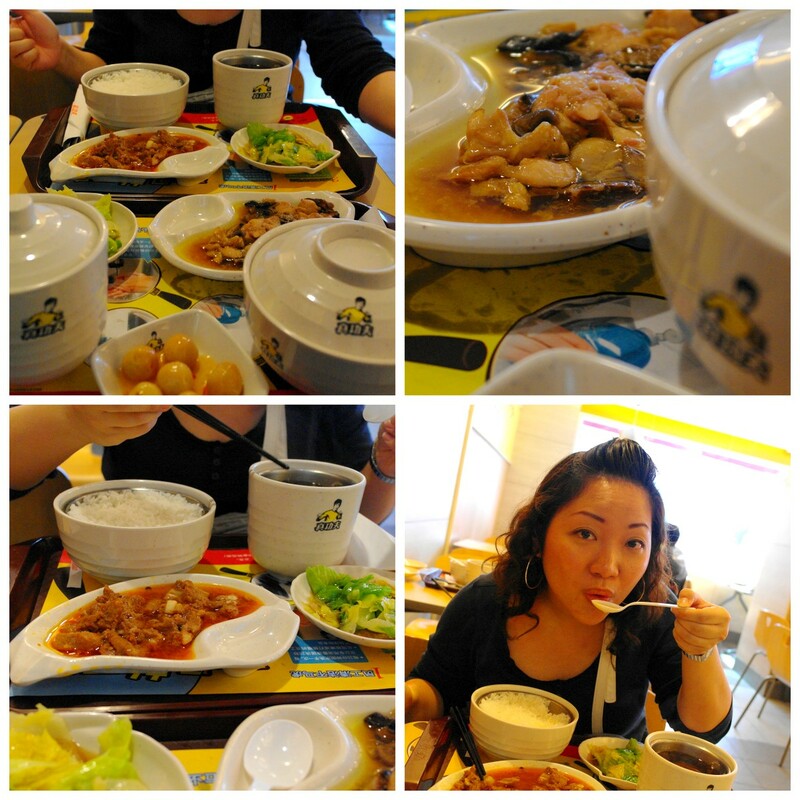 Lunch was at a fast food restaurant called “Zhen Gong Fu”, where they serve steamed dishes with rice. After lunch, we took the train to Hua Qiang Rd Station. This is the electronics shopping belt, and it is here that I bought some of the cheapest accessories that I could ever dream of. 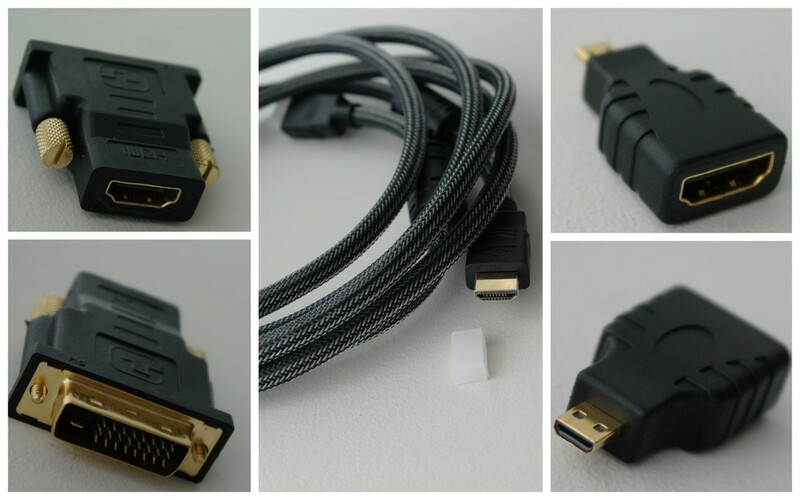 Imagine 3-metre HDMI cable for S$3! I also found some very useful HDMI-DVI converters at less than S$5. I didn’t buy more because I wasn’t sure of the quality. The other expensive gadget I bought was the bluetooth keyboard that I first saw in Singapore at Comex in September selling at S$98. I bought it at one of the stalls at SEG Mall for S$55. What’s good about this keyboard is that it comes with a trackpad and a laser pointer, which is perfect for presentation. I intended to use it with my iPad, but unfortunately, Keynote for iPad refuses to recognise keyboard commands to move the presentation slides (it’s a software constraint, not the keyboard problem). So now it’s sitting in the box while I think of a way to make good use of it. We went back to Old Street Station as Angie made up her mind to get something she saw earlier. 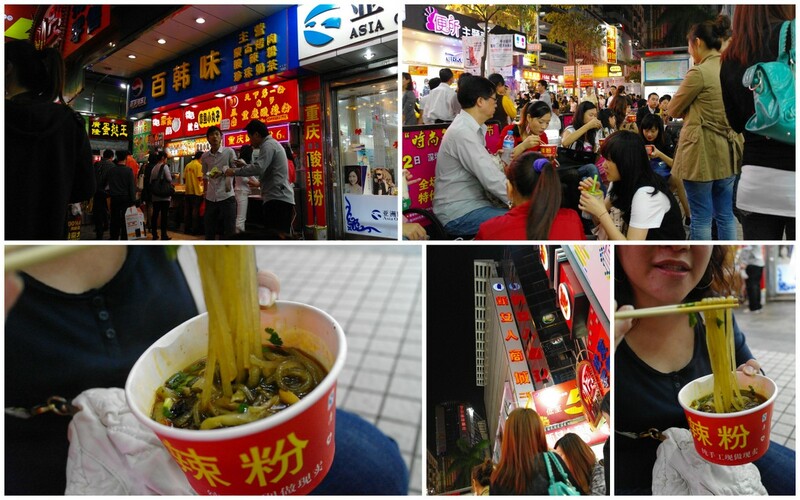 There, we had some street food, which tasted yummy (don’t they all taste good?). After Angie got what she wanted, we headed back to the border.